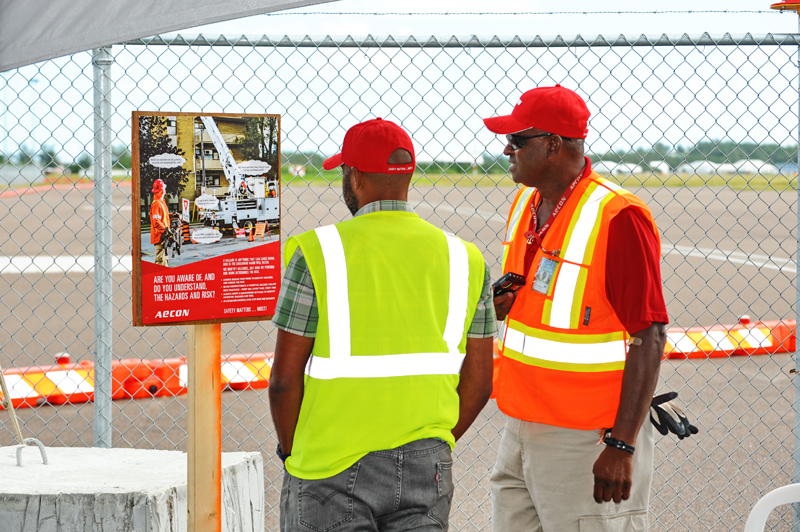 Skyport celebrated ‘Safety Week’ with Aecon with a special event at the site of the new airport terminal today. 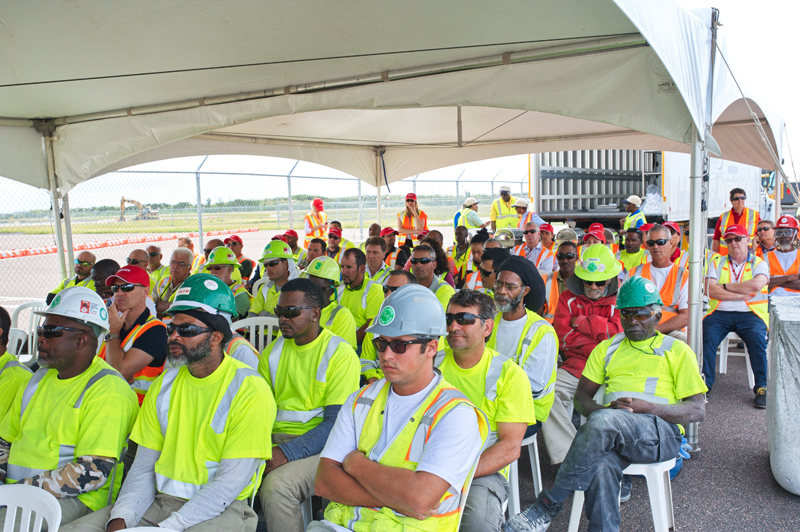 “It was the first Safety Week in Bermuda and is a company-wide initiative that is held at every Aecon project site across Canada and internationally,” Skyport said. Then workers attended a screening of “Toolbox Talk” – a video presentation given by John M. Beck, the Chief Executive Officer of Aecon. This presentation covered the topic of risk tolerance and human error. Following the presentation, a new safety poster, which will be displayed around the construction site and offices, was unveiled by Conor Smyth, Project Director and Scott Bell, Health and Safety Manager. 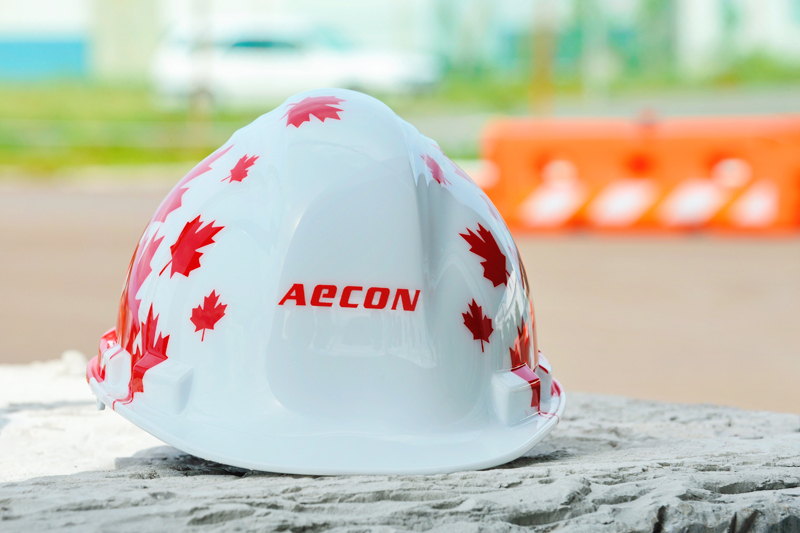 “Attendees were treated to a lunch to celebrate and were given a gift as a token of Aecon’s appreciation of everyone’s commitment to working safely,” Skyport said.